Northwestern University encourages its students to participate in educational experiences abroad. 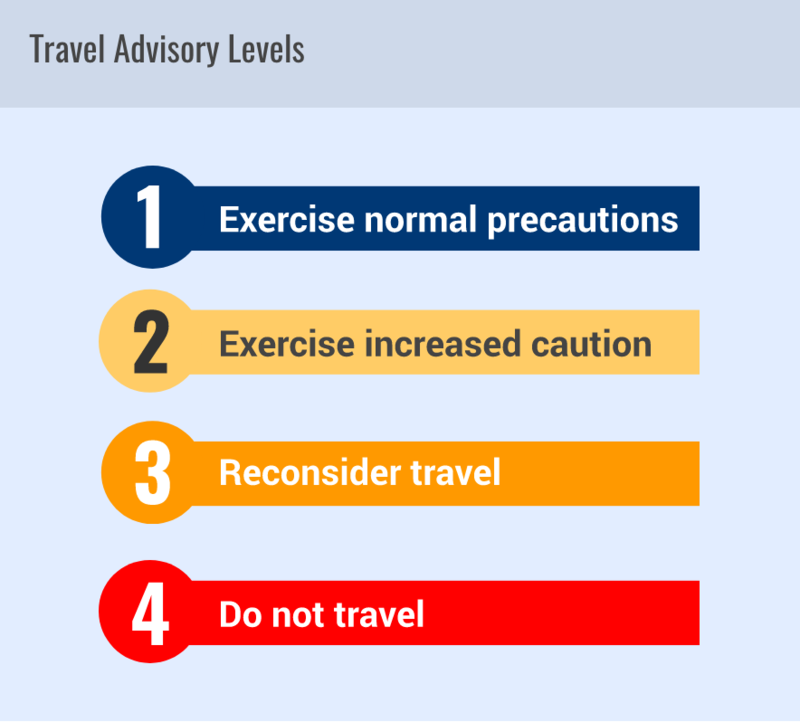 To minimize health and safety risks, the University links approval of undergraduate international travel to U.S. Department of State (DOS) Travel Advisories. Undergraduates planning to visit countries under a Travel Advisory Level 3 - Reconsider Travel must seek approval from Northwestern. Undergraduate travel to Level 4 - Do Not Travel designations is prohibited, although exceptions may be granted. To learn more, read about the Undergraduate International Travel Policy. To apply for an exception to this policy, read the Travel Permission Request Process. Study Abroad is a credit-bearing educational experience abroad (either Northwestern-sponsored, affiliated, approved unaffiliated or approved non-Northwestern) that results in progress toward an academic degree at Northwestern. These programs are typically administered by the Global Learning Office. Health and safety pre-departure requirements are integrated into orientation by the sponsoring office. Non-credit/non-study abroad undergraduate international activities must comply with the directives of the OGSS office. This travel will be considered Northwestern-sponsored if it meets at least one of these criteria. Non-credit travelers must complete the health and safety pre-departure requirements. All Registered Student Organizations (RSOs) traveling internationally must complete additional requirements.